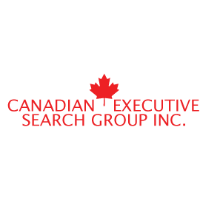 Canadian Executive Search Group are a staffing agency in the Toronto, Ontario area that specializes in sourcing qualified engineers for engineering companies. Our focused and targeted recruitment practices allow us to match high quality engineers to fill your job vacancies. We can also offer talented engineers who are looking for a new career a variety of Engineering focused jobs that are available within the Toronto area. Our staff provides extensive head-hunting experience and are able to source the most qualified and talented engineering candidates for extraordinary engineering job opportunities in the Toronto area. We have the ability to find the best engineering candidates for your business, regardless if you require a full-time, temporary, or contract engineers to join your staff. If you are searching for an engineer in or around the Toronto area, contact us with your job requirements and we can match you with our best engineering candidates. Are you searching for an engineering job? We have access to a wide variety of job postings that require certified engineers in every discipline. View engineering possessions available in Software, QA, Process, Manufacturing, Industrial, Geotechnical, Electrical, Civil, Biomedical, Automotive, and Architectural Engineering in the Toronto area. Engineers – Start your next engineering job in Toronto today! If you are seeking a career opportunity for an experienced engineering position in Toronto, Ontario, we can help you discover your new engineering job. We have all the tools required to source and secure your next engineering job placement in Toronto, Ontario. How do I start applying for an engineering job? Step 1: To start searching for your new engineering job, simply select the “View Engineering Job Vacancies’ button and review our database of available engineering positions in Toronto. Step 2: When you’ve found your desired engineering job, you can apply for the position by completing the application form to submit your resume.